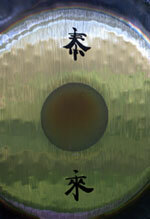 Harmony Gongs welcomes everyone to experience the Power of the Gongs and other sound healing instruments. The gong is the spirit song. It is the primal whisper of the soul.